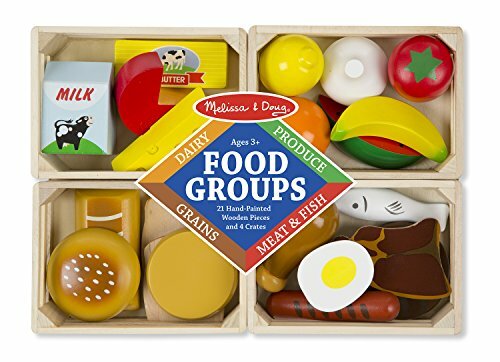 Melissa and Doug Kitchen Set have been around for many years. 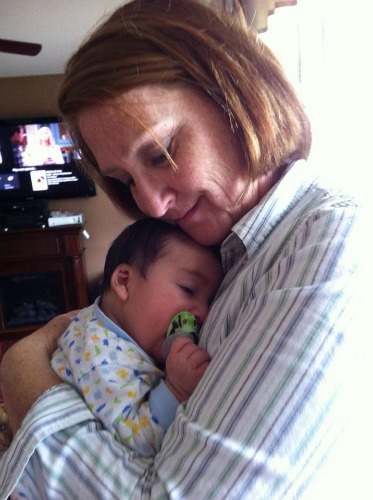 Just hearing the name Melissa and Doug we know that we will be getting quality products for our children. 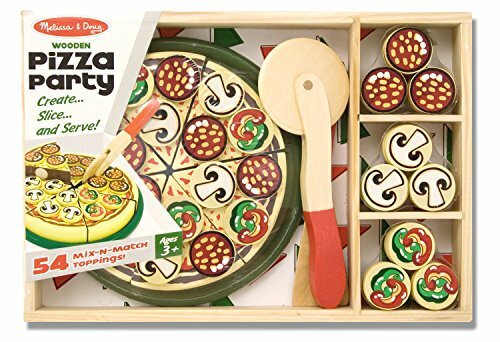 They make children’s toys from quality wood. The reason they do that is because they know they will last for a very long time, and they do. 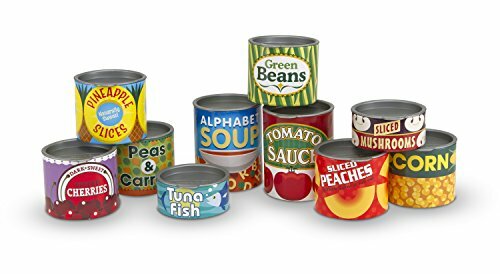 These will last a life time and beyond. 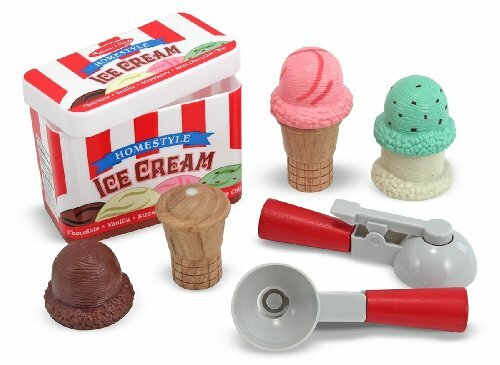 Your children and grandchildren will play with these and maybe your great grand children. 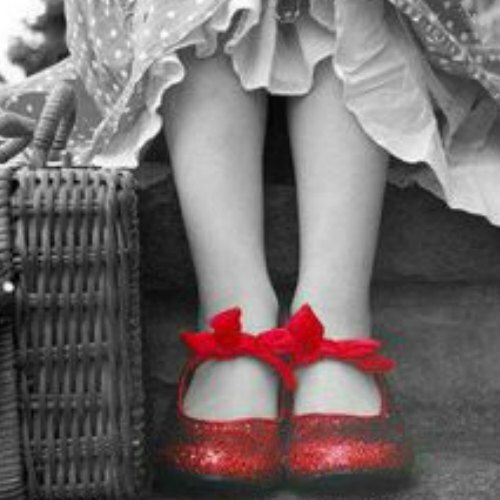 Wouldn’t that be cool! 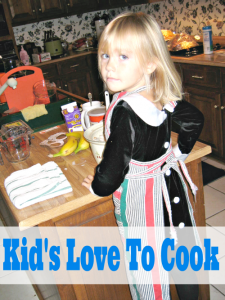 When we look for a play kitchen for our children, we want something where they can feel like they are adults, that’s the whole idea in pretend play…right? 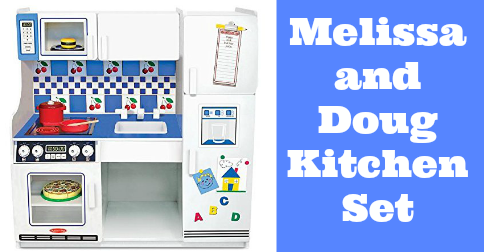 The Melissa and Doug Kitchen Set has few rivals in terms of safety features, durability, and overall design. 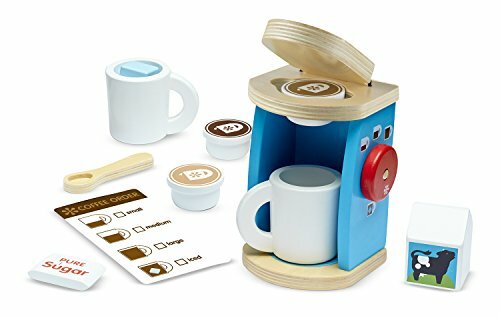 These sets are recommended for children three years and older. 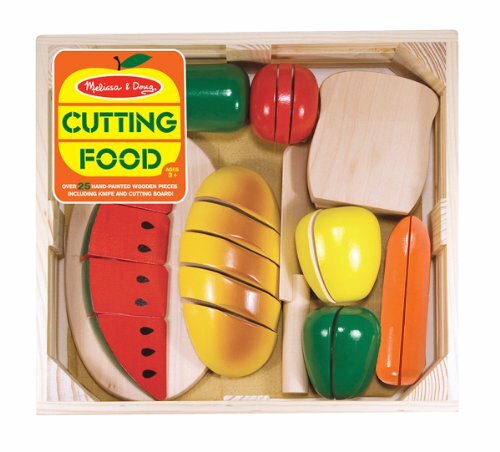 There are no sharp angles on Melissa and Doug kitchen sets that can harm stumbling children; every wood piece has been rounded at the corners, and every knob and faucet similarly features soft curves designed specially with toddlers in mind. Each wooden piece and metal hinge is pre-painted with a hard, durable acrylic. All the screws and bolts are recessed, and the see-through oven and microwave feature unbreakable plastic windows. 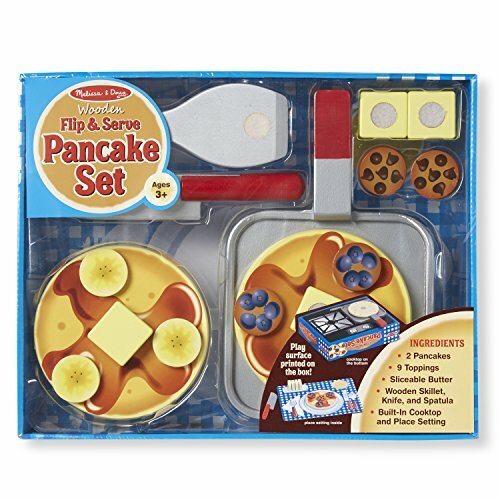 Grab some pretend food and play pots and pans and your kids are ready to become kitchen chefs in their Melissa and Doug kitchen set. 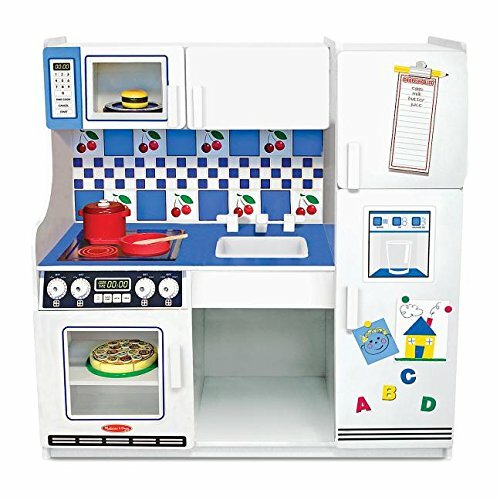 A Melissa and Doug Kitchen Set is a chefs dream with plenty of space for everything she or he needs. Made of wood to make it extra sturdy. There is a cool stove top, roomy refrigerator, fancy freezer, see through oven door and knobs that turn, a microwave, roomy sink and beautiful vintage cherry details. You will need to assemble it, but with the new redesign, they have made it easier. 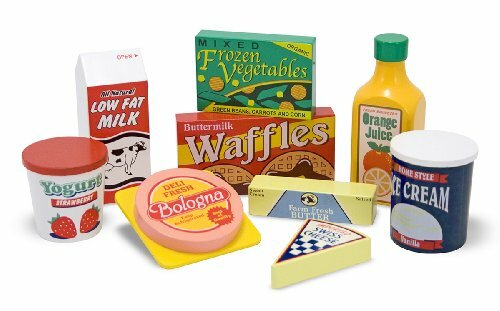 This is the one place that it’s OK to play with your food. 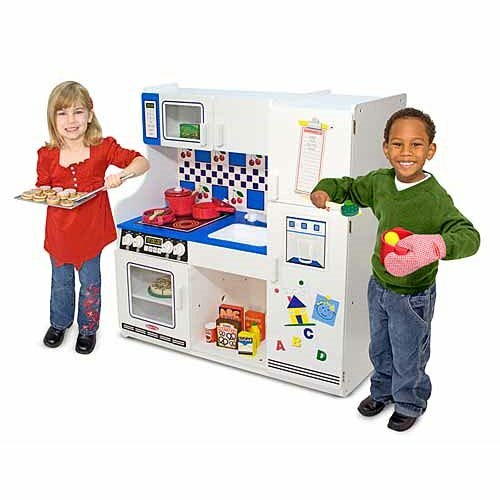 All the Melissa and Doug that accessories you see with this kitchen are sold separately. 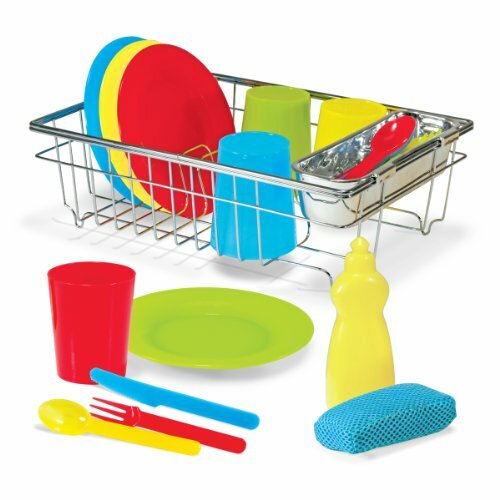 This Melissa and Doug Kitchen Set is a perfect space saver for those with little space. It’s a curved wood kitchen with no sharp edges. 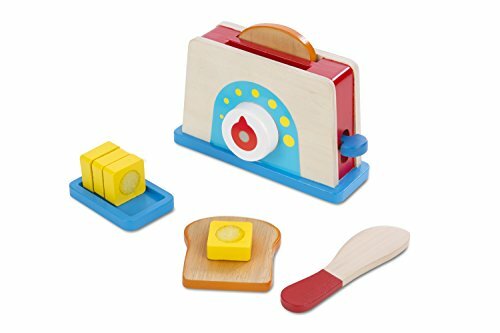 It has a red, white and blue color theme that will spur your child’s imagination for cooking and creating wonderful, yummy things in the kitchen. 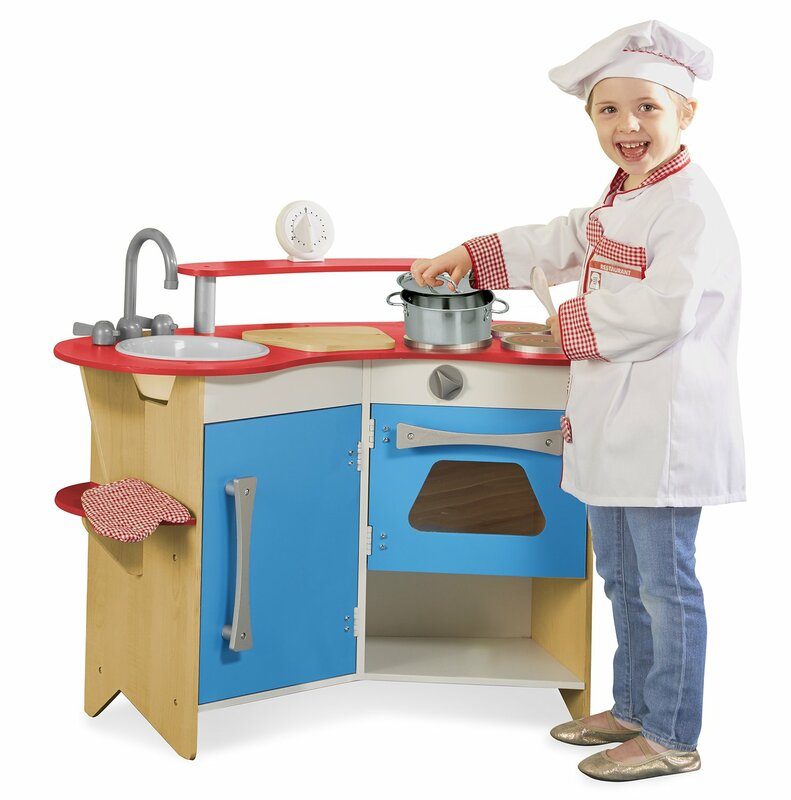 This Melissa & Doug Cook’s Corner Wooden Kitchen comes with a 3-burner cook stove, sink and cutting board all built in. Of course there is an oven as well. 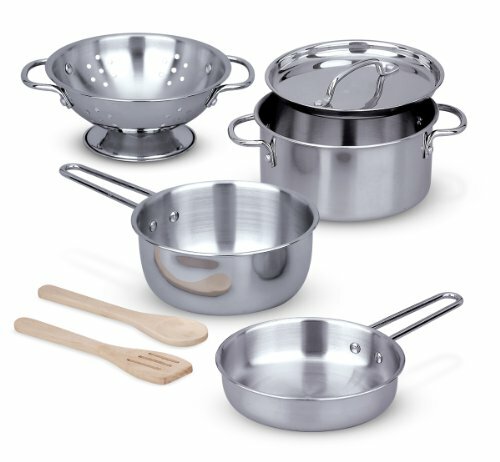 It is big enough to cook anything they can dream up. All the knobs are working too. The refrigerator is under that kitchen sink that has shelves for all the left overs. It has a working timer built in as well. They can time their meals down to the exact minute. Recommended for children ages 3 to 6. 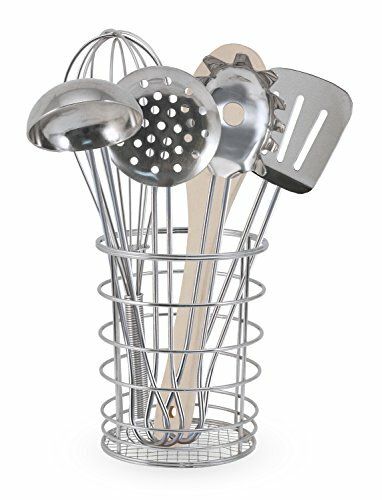 Every kitchen needs the right accessories to be able to cook up great meals. 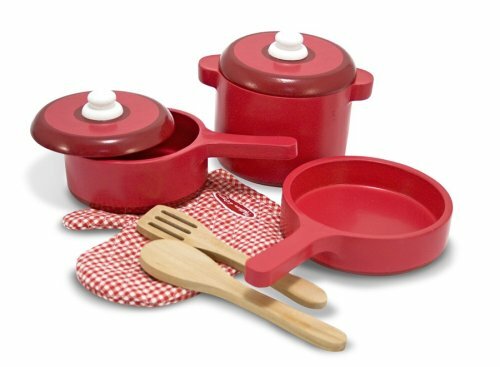 Melissa and Doug have made that easy for you with a great selection of their pots and pans, food – fresh and canned, and dinnerware to serve their masterpieces on.